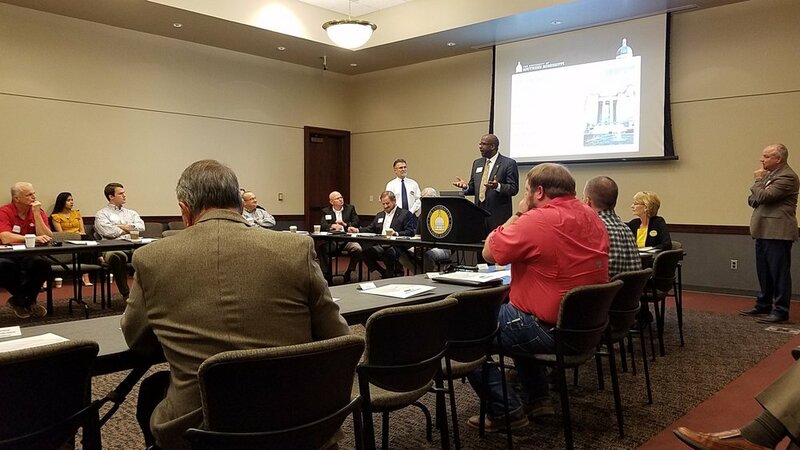 On October 18, 2018, Dan Eckenrode, PCI Gulf South’s Executive Director, attended the University of Southern Mississippi Industry Advisory Council meeting for their School of Construction. The purpose of the meeting was to discuss past progress and future plans for the School of Construction. The Industry Advisory Council is comprised of construction industry professionals. The School of Construction offers four undergraduate programs, Architectural, Construction, Industrial Engineering Technology, and Interior Design. These programs are accredited by industry associations including the Technology Accreditation Commission of the Accreditation Board of Engineering and Technology, American Council for Construction Education, the Council for Construction Education, and the National Kitchen and Bath Association. The programs provide students with career-oriented skills that help them successfully join the workforce in entry level positions.